India is a very diverse country that has something in store for everyone. From enchanting lakes, snow studded shiny mountains to the lush green forests, enthralling wildlife experience, historic and religious places, exotic beaches and action-packed adventurous experience, India has it all. So if you are an adventure seeker and want to experience the thrilling adventure games, take a vacation and go to the Destinations for Adventure Sports in India. Goa is one of the best destinations for adventure sports in India. Goa is all about shiny beaches, hot sun rays, exhilarating and noisy waves and Known for its lovely charismatic and lively environment. What describes Goa is ‘sea-sand-sun’; one gets carried away with the atmosphere and its natural beauty and wants to stay here for days and days. 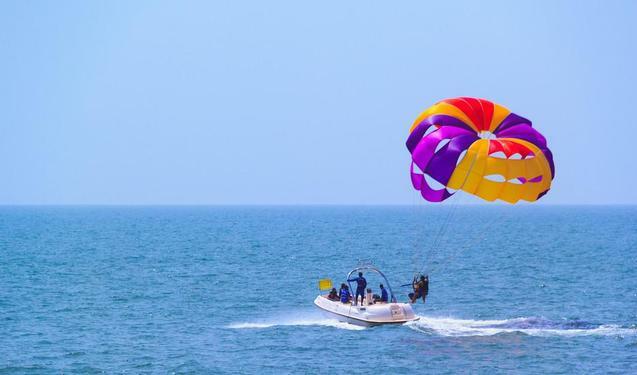 Goa has everything to offer from historic tour to relaxing spas to thunder beaches to party club, it’s a never-ending list and now it has added adventure sports to its list. The best season for enjoying water sports is from October to May. Windsurfing, a unique blend of surfing and sailing, can be best tried at Dona Paula bay. Ferry Sailing is a pleasant change from windsurfing. With two sails and side decks to sit upon, ferry sailing is as much fun and enjoyable too. While you are in Goa, you must try Scuba Diving. There is ample of marine life in Goa to be explored and enjoyed. Water skiing is another water sport that offers an opportunity to venture into the sea on speedboats. Highfliers can opt for parasailing. As the boat speed off on the water, the para-sailor is lifted into the air. Make your holiday even better by exploring the underwater world and water sports of Goa. Jammu & Kashmir is a blend of stillness and serenity, which makes it one of the most desired and visited adventure destinations in India. The soothing Himalayas, the refreshing atmosphere, the authentic cuisine, and the mesmerizing and breathtaking serenity adds extra energy to the place. Besides its beautiful landscape, J&K, these days, has become a popular destination for different adventure activities. Water trekking is considered a delight to anyone looking to explore the valley in a boat called ‘Shikara’, the boat takes sightseers along rivers and lakes situated within the valley. Kashmir offers a series of adventure sports such as golfing, river rafting, mountaineering in Ladakh, trout fishing, skiing and heli-skiing in Kashmir, trekking etc. River rafting in Ladakh provides the best opportunity to enjoy and experience the natural beauty of the spectacular landscape with the deep gorge, towering snow-capped peaks, hilltop, monasteries, hillside villages, and glimpses of the unique wildlife. Mountain climbing in Leh is another thrilling experience that attracts adventure lovers from all around the world. There are numerous ranges in Leh and Ladakh, which a mountain climber can actually explore and enjoy the trip to this valley. One of the major attractions for adventure loving tourists is skiing in the Himalayas. For Best adventure Places in India, Jammu and Kashmir is an ideal destination. Fishing, white water rafting, paragliding, skiing, mountaineering, and hiking are all on offer in or around J&K. Uttarakhand has strengthened its position as one of the preferred destination for Adventure in India. With the gigantic Himalayas in its north and Tarai region with dense forest in its south, Uttarakhand is home to some of the most beautiful destinations. Uttarakhand is the paradise for nature lovers, has succeeded in establishing its name as heaven for adventure enthusiasts. Uttarakhand has lot many adventure sports to offer to its adventure loving tourists. One can have an amazing, wonderful and thrilling experience in Uttarakhand. In its pristine nature, free-flowing rivers, glazing mountains, adventure sports can be enjoyed throughout the year in the state from skiing, river rafting, mountaineering, trekking, and paragliding. Skiing in Uttarakhand is a thrilling experience. The best sites for skiing are Garhwal and the Kumaon regions with snow-covered slopes in Auli, Dayara Bugyal, Mundi and Munsyari. While skiing one can have a captivating view of the mountains all covered in snow shining like a river. The best time to enjoy skiing in Uttarakhand is winter. Another more adventurous activity of all is trekking, which offers an opportunity to explore the natural scenic beauty of the region. There are plenty of trekking options in Garhwal and Kumaon Himalayas. River rafting is another major adventure sport as Uttarakhand is partially covered with Mountain Rivers such as Ganges, Yamuna, Alakhnanda, Mandakini etc. Rafting is a thrilling water sports and Rishikesh, Rudraprayag, Devprayag etc. amongst the most popular rafting destinations in Uttarakhand. So if you are in Uttarakhand for any religious or leisure trips, do extend your trip and try these adventure sports, it will really make your stay memorable and lifetime experience. So, there are three lovely destinations for Adventure sports India. 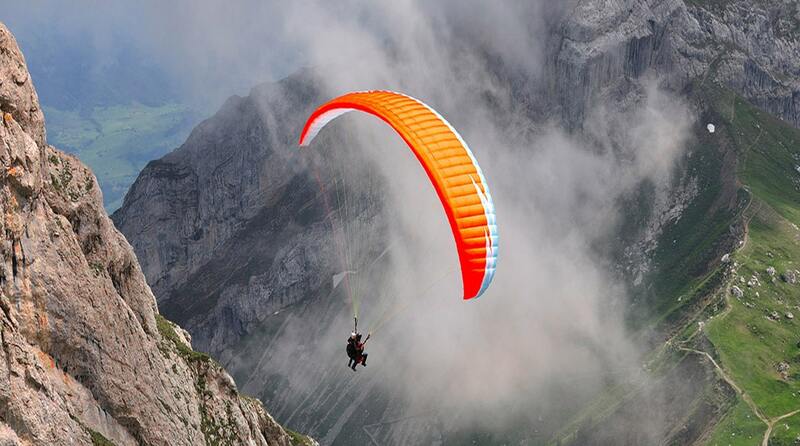 All the adventure sports take place under proper safety net and in the presence of the experts in India. So whether its winter, spring or summer, pack your bag and head towards this gorgeous nation and have an adventurous stay.